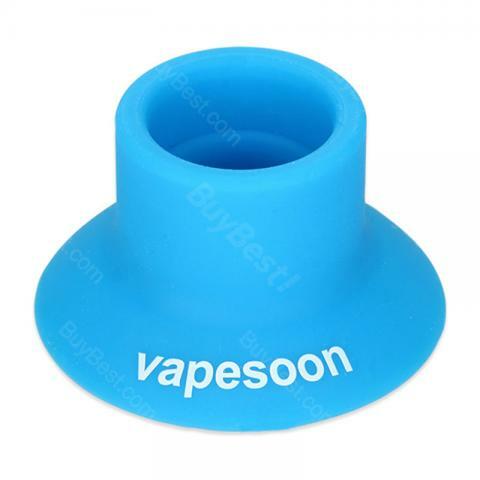 Vapesoon E-cig Silicone Suction Cup Holder, is made of high-quality silicone. It helps to keep your E-cig free of damage due to rolling off of a table or being dropped. 4 colors available. Vapesoon E-cig Silicone Suction Cup / holder, is made of high-quality silicone. It helps to keep your E-cig free of damage due to rolling off of a table or being dropped. This silicone suction cup will stick to any non-porous surface and wetting of the silicone cup will enhance sticking properties. 4 colors available.